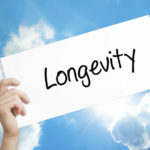 Life expectancy in America is declining. More people have disease. Costs for health care are skyrocketing. Apparently, it can. A recent study by John Hopkins University showed medical errors to be the third leading cause of death in America. So not only is conventional health care not working, it is killing us too! It’s clear that navigating through the maze that is America’s health care system exposes you to unnecessary risks. 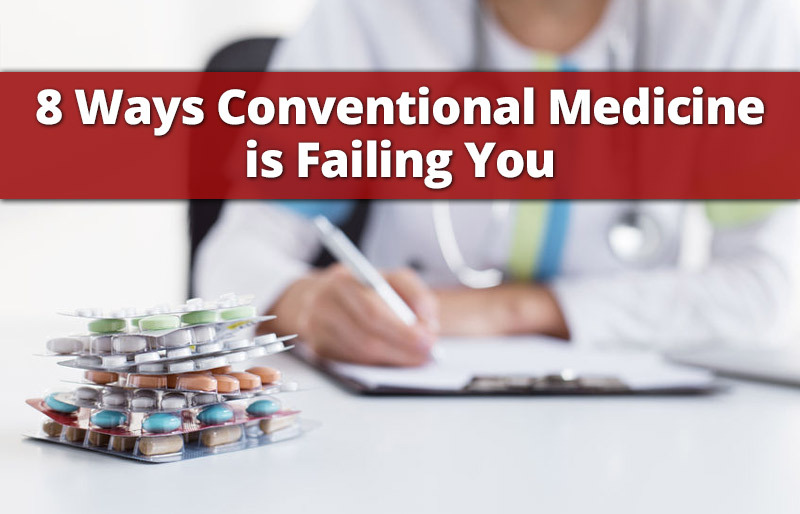 Here are the worst: 8 sources of failure on the part of conventional medicine, and tips on how you can avoid them. Conventional medicine treats symptoms only, mostly with Big Pharma pills and procedures. Conventional medicine is not designed to address the cause of the problem. 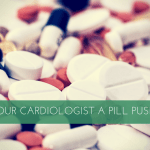 Then ask yourself, “Are blood pressure medications actually helping your heart, or just lowering the markers we measure?” (Hint, they just lower what we measure, they don’t strengthen the heart). 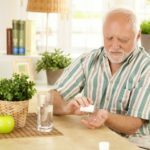 How about medicines for arthritis? Are they fixing the problem, or just managing the pain? (Hint, they manage the pain). And how about hormone replacement drugs? Do they address what is causing the hormone imbalance in the first place so you don’t need drugs? (Of course, they don’t). Conventional medicine in the United States does not cure health problems or disease. It only treats symptoms. What to do: Have a doctor of chiropractic or an integrative holistic doctor help you with your health care. These professionals focus on finding and treating the cause of health issues, not just the symptoms. A patient from Texas was in my office yesterday. They told me about a sign they saw on the door of the examination room of their previous doctor. The sign said that all appointments were limited to 15 minutes. If the patient’s issues needed more than 15 minutes of the doctor’s time, then the patient must schedule additional appointments. The reason this happens is that conventional medicine, and conventional doctors, rely on insurance for the bulk of their income. And since insurance companies, in the form of their reimbursements, dictate what doctors can earn for appointments and services, conventional doctors are forced to cram as many patients into an hour as possible. They simply must see more patients to avoid a drop in income. This lack of time spent with patients is not good for their care. Doctors know this. Read what USA Today and Kaiser Health News wrote about the problems with15-minute doctor visits. Here’s more on the problem from Forbes. What to do: There are doctors that allow ample time (45 minutes or more) for appointments with patients. Work with one of these type doctors. Many of them are doctors of chiropractic, holistic natural medicine doctors or physicians with a concierge medicine practice. These are usually direct pay practices. They don’t accept insurance, but will provide you with the forms you need for reimbursement to you by your insurance carrier per your coverage. As a board-certified cardiologist, I spent 10 years getting my advanced medical training. I was tops in my class. I attended three different institutions of higher education. I worked in four different hospitals. Less than 5% of all that education and all that experience was spent on learning how to prevent disease, cure the causes of disease and achieve optimal health. See, what they teach in medical schools is how to identify symptoms, how to treat symptoms and how to perform procedures, like surgeries. There is little to no training about the causes of disease, and how to eliminate those causes. Here’s how medical schools teach physicians to treat symptoms: you either give the patient a Big Pharma medication or perform a procedure. I was required to take one class in my entire career about nutrition, yet nutritional deficiencies and food contamination are two of the prime causes of disease. There were no classes about the effects of toxins on the body, yet medical study after study shows toxins to be a big driver of poor health and disease. There was one class about how lifestyle impacts health. Just one. Yet lack of exercise, lack of sleep, stress, electronics and more are major causes of disease. Conventional medicine does not train doctors to cure the causes of disease, or to even prevent them. It only trains physicians to identify and treat symptoms. That’s why people are always sick and why our health care system is failing us and future generations. What to do: Follow my 15 simple habits that will change your health. Self-care is the best way to achieve optimal health. Get your blood tested by a holistic physician that uses advanced blood testing protocols. Work with this physician on natural methods of disease treatment and prevention. Prevention and treatment include organic Paleo foods, nutritional supplements, toxin-free living, and good lifestyle practices. No one makes money when people are healthy. Not politicians who line their pockets with Big Pharma contributions. Not large scale medical centers. Not chemical companies that poison our food or genetically modify it. There’s lots of money being made by lots of people when you are sick. When you are healthy, no one profits but YOU. The conventional medical system is designed to keep you on pills, very expensive pills. The economy needs you to be sick, to stay on these pills. There are millions of jobs that rely on the medical industry in its current model here in the United States. Nearly every part of the U.S. economy is intertwined with health care. And pharmaceutical companies and their shareholders need you to stay on these pills so Big Pharma execs can get filthy rich. There is too much money in the system as it stands for you to be healthy. The system and the economy need you to be sick, and thus the system is structured to promote disease. What to do: Don’t get sick! Make good food choices. Make good lifestyle choices. Choose toxin-free personal care and household products. If you need a doctor, follow my recommendations as previously outlined in this post. Do you ever watch TV in America? If you do, you’ll notice two things. The first is the huge volume of medical related ads on TV. Healthcare is one of the largest advertising industries in the world. I wonder why we as a society think it is acceptable to advertise prescription medicines? America and New Zealand are the only countries that allow direct to consumer medical ads. Television has become the biggest drug pusher in history. TV wants you to tell your doctor how to treat your symptoms. Here’s a link to an excellent article that explains the problems of drug commercials. I’m going to set aside the ethical issues surrounding drug ads to focus on another issue instead. Misuse of prescription drugs is one of the largest medical issues in America. Some have called it an epidemic. And let’s go back to those commercials for a minute. This is the second thing you will notice. They’re loaded with disclaimers and lists of potential side effects longer than my arm. More time is spent in most of these commercials talking about side effects than what the drug is actually supposed to do. Any time we put a foreign (i.e. man-made) substance into our body we face the distinct risk of compromising our immune system and jeopardizing our health. Our bodies were not engineered to work with foreign substances (i.e. pills). We should only take man-made pills in dire emergency situations, like extreme trauma situations. What to do: At the risk of sounding elementary, live your life in such a way that you do not get sick with disease. Read my philosophy about what to do for good health. If you are sick or faced with disease, look for natural remedies first. Our federal government requires you to have insurance. Insurance companies, which are out to make a profit, dictate your care in the form of their coverage plans. This insurance is designed to maximize shareholder profits while proving the most basic (their definition) level of patient care. It’s obviously not an adequate level of care, as life expectancy is decreasing and medical errors are increasing. Federal, state and local governments mandate vaccines for you and your children, even though there is overwhelming evidence these vaccines do more harm than good. Freedom of choice has been sacrificed, all behind the veil of common good, and yet people are sicker than they have ever been before. Governments allow pollutants to cover our food in an effort to grow more and increase food producer profits. They allow genetic mutations into our food supplies, even though many countries have banned the practice because it’s detrimental to our overall health. In America, we legislate for profit, not health. This is conventional medicine in a legislative form and it’s making us sick. What to do: Exercise your rights and refuse vaccines. Boost your immune system, not tear it down. Buy the minimum amount of insurance necessary to handle catastrophic events, and plow your premium savings into good food, toxin-free living and chiropractic care. A recent report of more than 14,000 physicians in the U.S. showed that more than half were suffering from burnout. I practiced for more than 10 years in a large practice and saw the burn out on a daily basis. It’s no surprise that a leading physician-burnout researcher from the Mayo clinic says burnout adversely impacts patient care. The big causes of this burnout? Too many bureaucratic tasks. Too many hours at work. Feeling like just a cog in the wheel. Increased computerization of practice. The feeling of being a glorified pharmacist. Can you blame doctors for being burnt out? And we’re seeing the results of the burnout. More medical errors. Lower life spans. 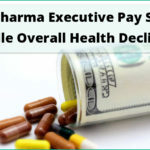 More Big Pharma drugs. More sickness. What to do: Be a good patient. Be friendly and respectful. I recommend you ask questions and be assertive, but don’t be obnoxious or threatening. Don’t waste time complaining to caregivers about things over which they have no control, like insurance and the cost of medicine. If you can, find a physician that does not work per the insurance model, one that will spend quality time with you in an unhurried environment. Although you may pay a little more for this level of care, your health is worth it. There’s more information online to compare and select a new phone than there is to select physicians and health care options. Conventional medicine surrounds itself in a veil of secrecy. This veil of secrecy compromises patient care. It’s been my experience in life that things get better with prudent scrutiny. Try finding published pricing on a hospital or physician’s website. Try finding performance reviews as to how they compare against others. That information is available for cars, phones, restaurants, hotels, vacations and a huge variety of other things. Why isn’t it available concerning health care options? Transparency brings change. When consumers can see and understand how a physician or a health care center operates and charges when compared to others, better care should result. The competitive pressures of a free market economy come to fruition with transparent practices. What to do: Ask upfront about pricing before receiving treatment from anyone. Look at the care center or physician’s reviews. Look at online resources such as www.medicare.gov/physiciancompare or www.medicare.gov/hospitalcompare to get background on ratings from Medicare data and patient surveys. In the end, you are the best equipped to take care of you. MD’s have failed us. You MUST learn the truth. Quite simply, the answer is to follow nature. Eat the right foods. Get the sleep. Get the sunshine. It really is that easy. Your local chiropractor should be your go to for honest health information. Dr. Heather and I are here to help. Join us on our mission to make the world a healthier and happier place, for your family and ours.